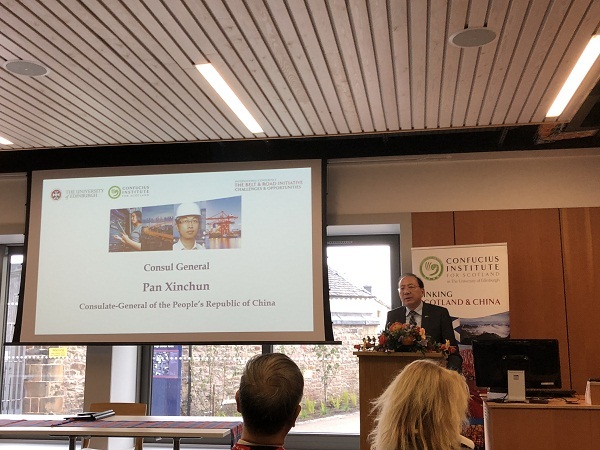 The second Belt and Road Initiative (BRI) International Conference was co-hosted by the University of Edinburgh and Fudan University on 5 October. 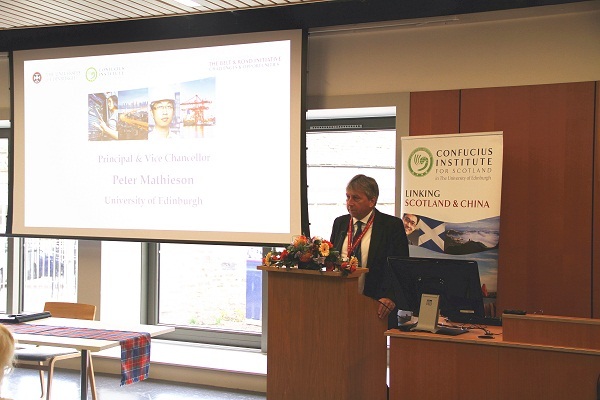 Chinese Consul General in Edinburgh, Mr. Pan Xinchun, Principal and Vice Chancellor of University of Edinburgh, Prof. Peter Mathieson attended and delivered welcome addresses. The event brought together leading BRI scholars from Fudan University, Remin University and Peking University in China as well as from the University of Edinburgh, Edinburgh Napier University and other representatives from top BRI think tanks to discuss and reflect on the progress of BRI, global governance, economic and trade collaborations, people-to-people and cultural exchanges. Consul General Pan expressed warm congratulations to the successful conference, saying that this year saw the 5th anniversary of the release of the BRI, an excellent time to review. Based on the principle of engaging in extensive consultation, making joint contribution and sharing benefits, the BRI has garnered widespread attention and support from the international community with 103 countries and international organizations having signed 118 cooperation agreements with China on the BRI over the past fiver years. China's trade in goods with the countries along the routes has exceeded $5 trillion, invested over $70 billion in these countries and built 82 economic and trade cooperation zones along the routes, creating over 200,000 jobs locally. In particular, the UK is leading other major western countries to support and participate in the BRI, and train Express linking Yiwu to London completed its debut round trip last year. The launch of direct air route between China and Scotland also provided a new momentum for China-UK bilateral exchanges and cooperation. Prof.Mathieson expressed that the development of the BRI is facing both opportunities and challenges, therefore this event provided an ideal platform for exchanges for those who paid close attention to the BRI which will contribute to facilitate communications as well as enhance trust. He wished the second BRI Conference a success. 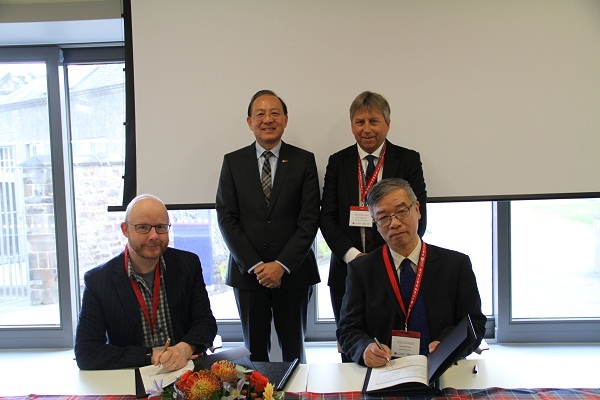 With Consul General Pan and Prof. Mathieson bearing witness, Huang Renwei, Executive Dean of Institute of Belt and Road & Global Governance of Fudan University signed MOU for strengthening cooperation between Fudan University and the University of Edinburgh with Vice-Principal International Prof. James Smith.